Helping small businesses get online with a great quality, high performing website at an affordable price. Getting a website should be as easy as possible for a small business owner. You have a business to run and simply do not have time to write copy, create content, find images, take photos and everything else involved in getting a successful website up and running. So let us do it all for you, we make the process easy and quick. We offer three packages starting with the Essential Small Business package which includes everything you need to start building a solid online presence. Take a look and choose the best package for you, then contact us today at 205.335.9293 and let’s get started. Everything you need to get your business a high quality website that that looks great. For growing businesses ready to take it to the next level. Time to get serious about growing. For businesses that have a lot to say and a lot to sell! Everything you need to start selling online. I'm Ready To Start Let's GO! I HIGHLY recommend Dominic and his company for any of your website needs. I have dealt with many website designers, and none have been as efficient and as quick to respond as Dominic. For people like myself, who are not familiar with designing web pages, he is perfect. He is very knowledgeable in this area, and knows exactly what you need without over-reaching. He has made it very easy to have an up to date, professional website. He is prompt with his work and makes sure that your website is everything you want and need. We plan to continue using him for all of our website needs! 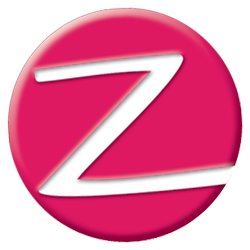 As a dual business owner, I have been with Dominic Zaidan and Zaidan Web Design for quite a while now. I first used him to update my His Way Appliance Service website and was so impressed with the way he handled it I hired him to completely rebuild my March Moto Madness Adventure Rally site. I have been blown away by his professionalism and the speed at which he replies to my sometimes demanding changes during the year. I highly recommend him to anyone in need of the services his company provides. I have known Dominic for several years. He helped me develop the website for my business. His design and style is so smooth that the format is pleasant to read. I have had several of my clients to comment on how nice my website is. He was given the job to redesign our church website to give it a fresh start and it was a success. I can always depend on Dominic to help me with my website, to add more information or to change products and his quick response is what I like about with him. I have worked with Dominic on our church’s website and email delivery system. He is very knowledgeable and professional and has been very helpful to us. I would recommend him to future clients. Dominic has been fantastic with helping me create and manage my website. I have very limited web design knowledge so without Dominic’s help I do not believe I would have ever gotten my website off the ground. He is extremely knowledgeable, patient, and hard working. I am very happy that he helped me through this process. Dominic has helped us multiple times with web design and other types of technical issues with our web site. He is prompt in getting the job done and very informative throughout the process. 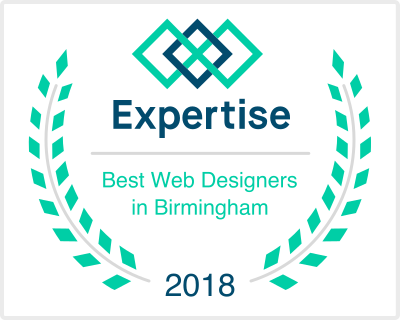 Absolutely, hands down, the best Web designer around. Dominic is a pleasure to work with, and is very detailed, quick, responsive, and creative. I would recommend his expertise to all. You are missing out if you don’t have him on your team. Our goal is to be your single source for all your online marketing. From web design to email marketing to social media marketing, you will love the work we do for you. Working with one person can save you money and time as we learn your business. Introducing Birmingham’s newest full-service printing company, where our goal is to provide high quality printing, exceptional service, and a broad range of signs, packaging, and other marketing products. Visit our website where you can use our online design tools and templates to create the perfect look for your business and then order directly online. Or, if you need graphic design or pre-press assistance, we are always available to help. Our business is based out of Vestavia Hills, and we provide services throughout Birmingham and the state of Alabama. We believe in supporting our local businesses and community. Ask about our New Customer Discount, exclusive for local businesses located in Birmingham and surrounding cities. In addition to providing services throughout Birmingham and the state of Alabama, we also ship products throughout the United States.